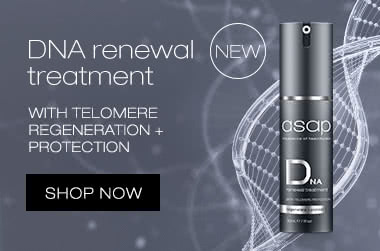 The asap product range focuses on active ingredients such as Alpha Hydroxy Acids, antioxidants, Co Enzyme Q10, Hyaluronic acid and Niacinamide. By including high concentrations of such potent ingredients, all of asap's products work fast with only a small amount. This makes their product range incredibly affordable as the products last for much longer than the average skin care product. asap do not test on animals or use animal derivatives, and instead only use environmentally-friendly ingredients. Their products don't contain harmful chemicals, harsh detergents, artificial fragrances or parabens. This homegrown brand are a perfect combination of being environmentally-friendly whilst delivering products which have immediate and drastic results. It's not surprising that so many people are switching to asap. This is a fantastic sunscreen if you have sensitive skin and break our when using sunscreen - I've never had this problem. This is a combination sunscreen though (both mineral and chemical) so isn't suitable if you're after purely mineral. The product may initially feel greasy, but leave it for a moment and it settles quite well on the skin. Looks fine under make up. I still use a moisturiser on top for that extra hydration, but you could probably go without.